I was supposed to get as much sleep as I can before the morning summit. 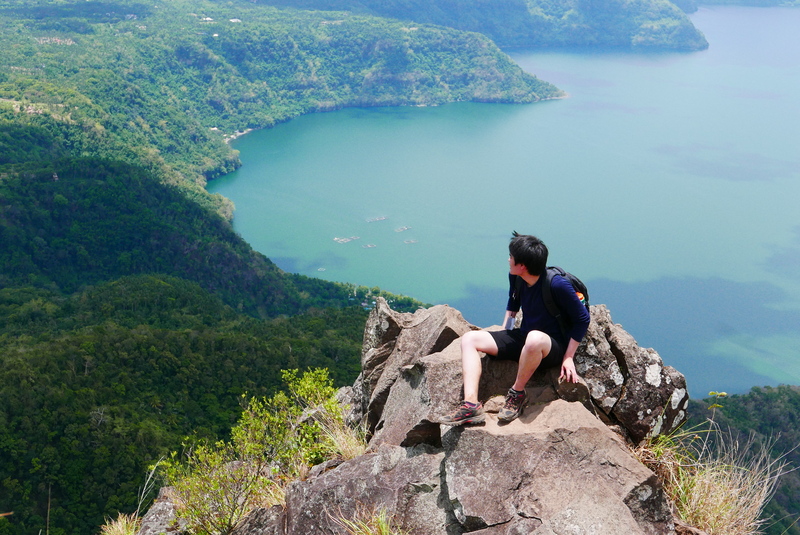 Unfortunately, I felt the altitude sickness which made it difficult for me to rest. I had no choice but to take some painkillers that night. Just as I am about to fall asleep, it was already our 1:30 am call time. Time for our early breakfast! At around 2:30 am, our group gathered outside Laban Rata. There were already a few groups who went ahead before we left. 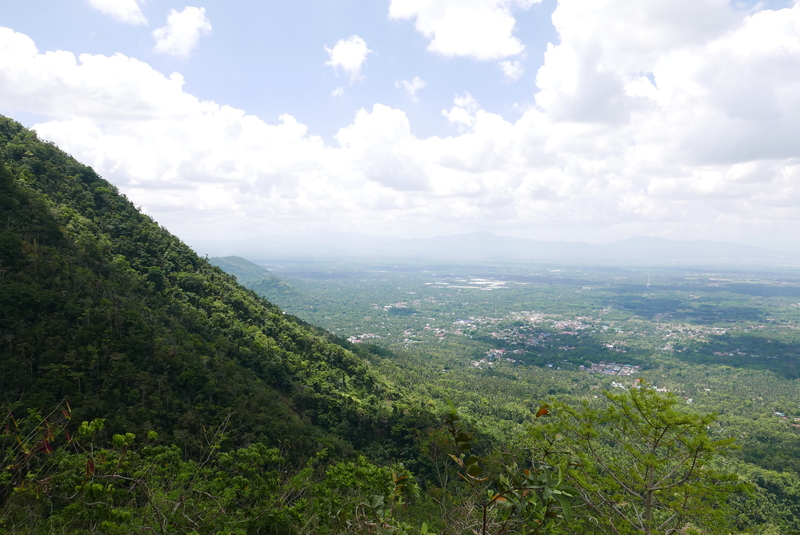 The first part of the trek was an incline which is partially made up of wooden steps. The initial assault was a bit tiring because you cannot pace yourself with the long queue ahead. Due to this, our group was separated into two. We skipped a few groups every now and then and waited for the second group to follow. 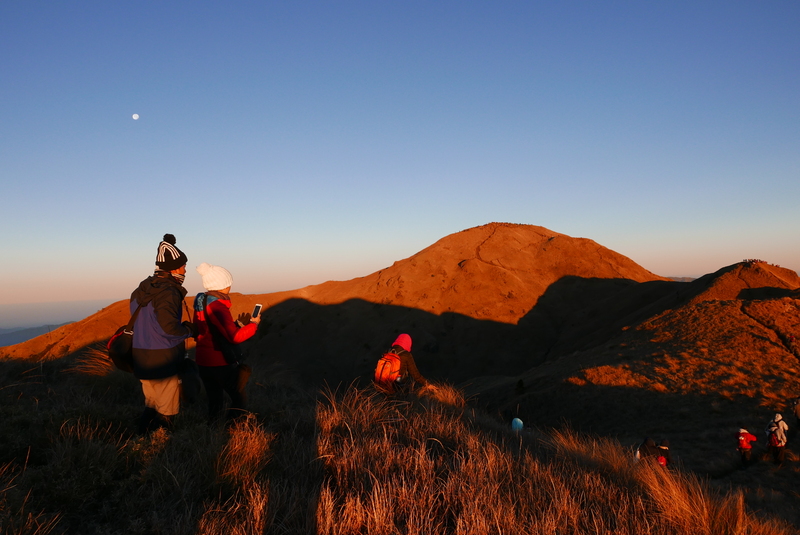 Unfortunately, we could not locate them at some point and decided to go ahead if we wanted to reach the summit before sunrise. 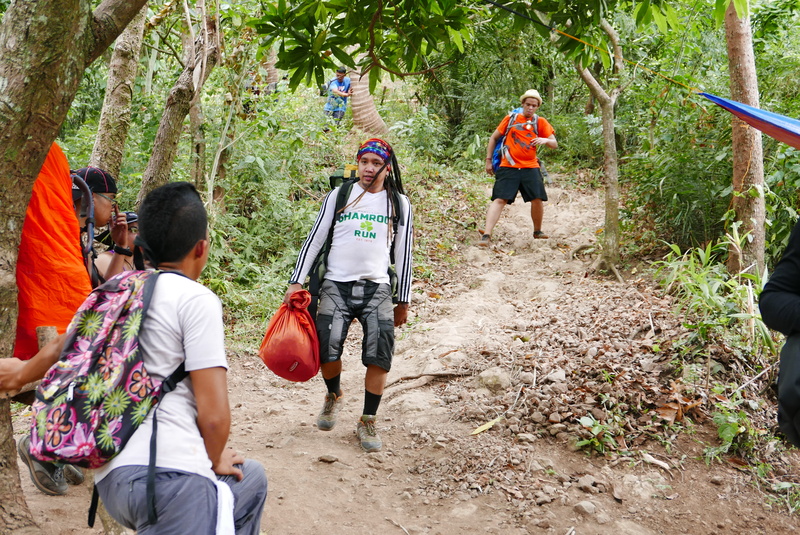 Upon reaching the checkpoint, your badge will be tagged to check who among the climbers have reached this area. Now is the tricky part of the climb. Coupled by the steepness and the energy exhausted earlier, I found the next part to be daunting at first. 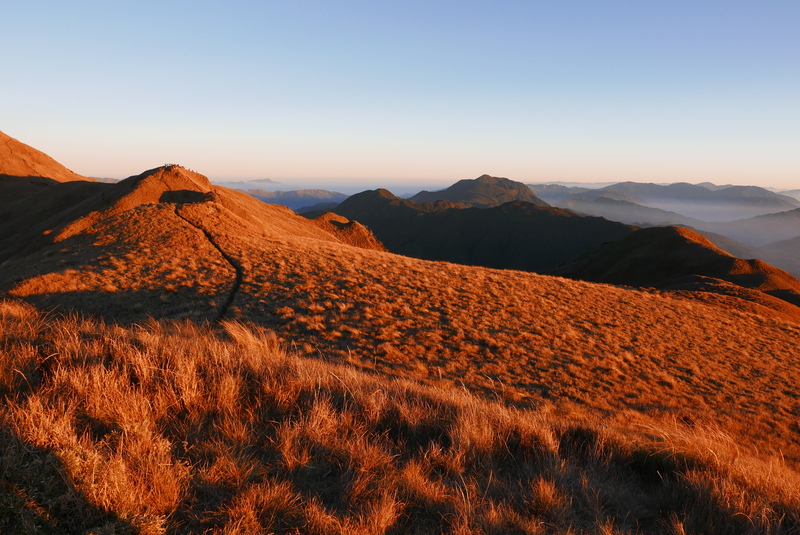 The trail from the checkpoint to the summit is pretty straightforward. You just follow the thick white rope which will lead you to Low’s Peak. The terrain is made of granodiorite which is the inclined rocky part you see when you search Mount Kinabalu in pictures. For me, this was the more difficult part to climb up. I had to hold on to the rope at times. It was very dark and you can barely see the summit which made the trail feel endless. The number of climbers you come across kept dwindling the farther you head up. 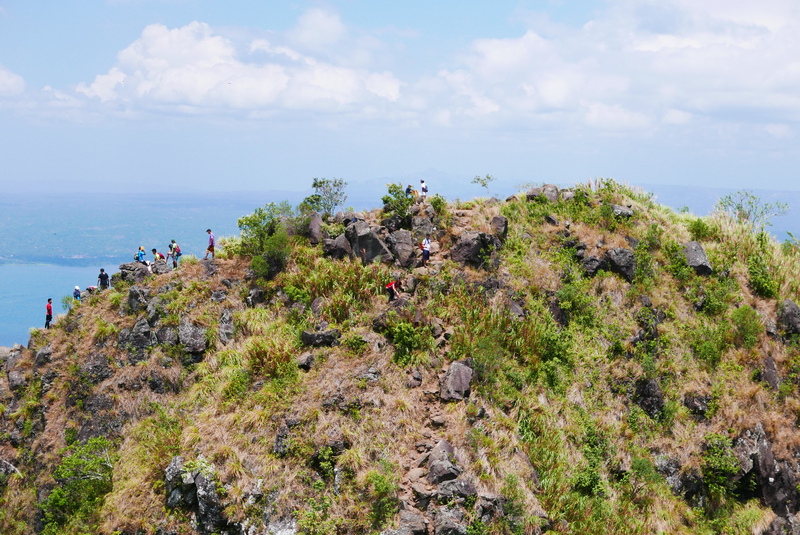 Most are either at the summit at this point or still below before the checkpoint. Midway through the rocky part, I made occasional stops to take photos of the terrain. 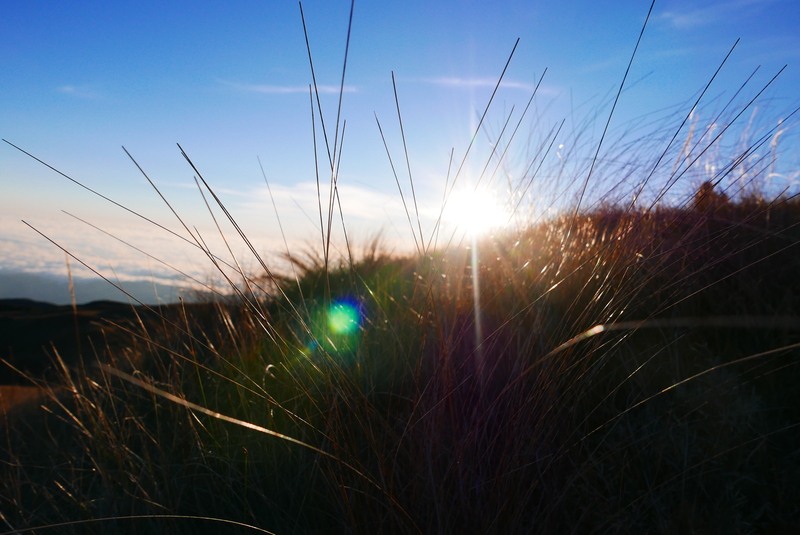 I wanted to take some sky shots accompanied by the unearth-like view but I left my tripod at base camp. It made me feel like I was on another planet! Out of breath, this was the time I got separated from the first group. I told them to go ahead and I would follow behind at my own pace. My steps became shorter and shorter at this point. I had one last glimpse of the first group as they shouted my name just a few meters ahead. Just as I thought I had enough, I made one last push to keep moving forward. I said to myself “This is the reason why I am here and I will not disappoint myself“. Next thing you know, I finally reached Low’s Peak in time! The two others climbers who went ahead from my group even said that I was just 5-10 minutes behind when they reached the summit. I did not expect that I would only be behind by that much. 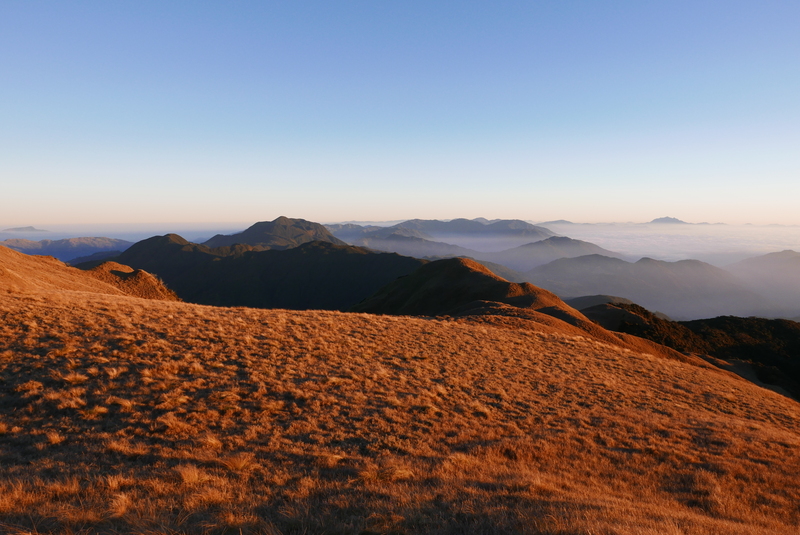 I guess my non-stop small steps with both my hands on the trekking pole worked! 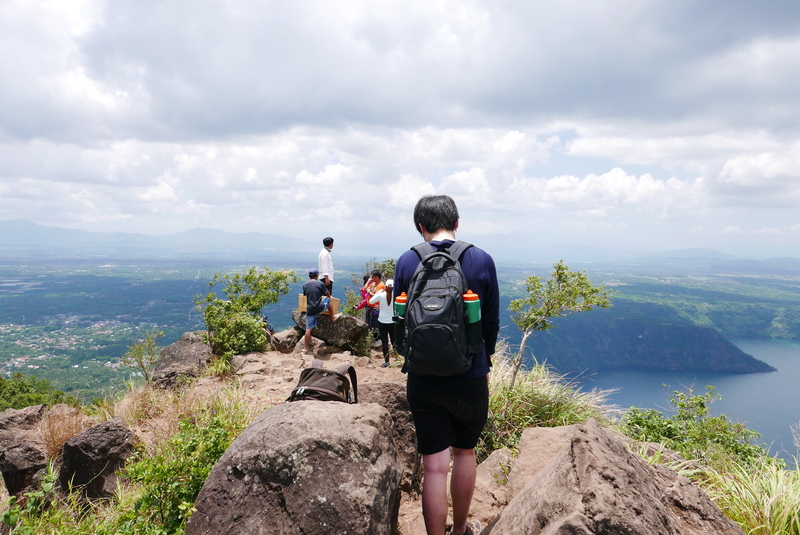 Reaching the summit is already a feat for me. 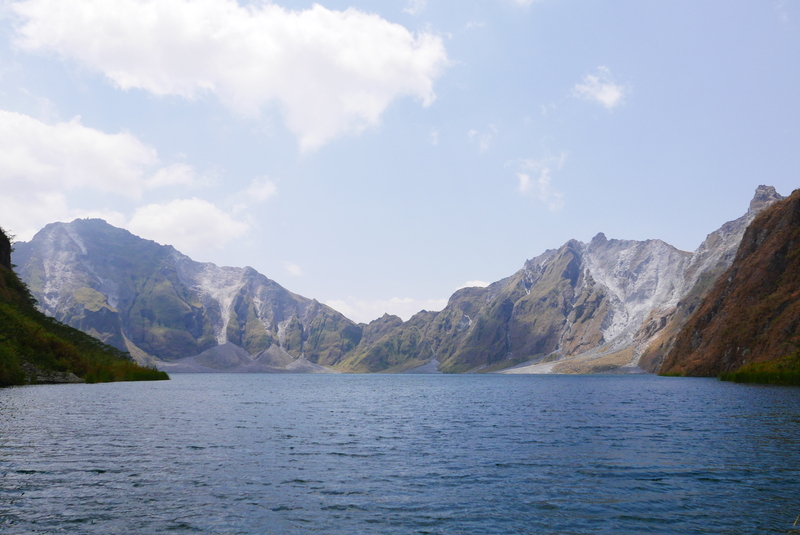 At 4095.2 MASL (13,436 feet), this is the highest I have been on foot. As the sun started to rise, the beauty of Mount Kinabalu is revealed. 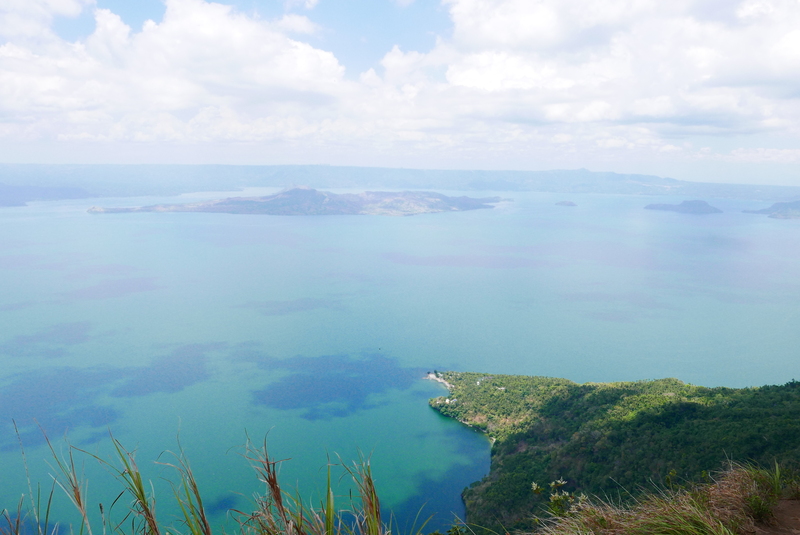 The view is just awe-inspiring that I will never forget. I can not believe that we actually made it! After taking some photos, I rewarded myself with some hot tea. The reason why I bought a thermal mug is for times like these. 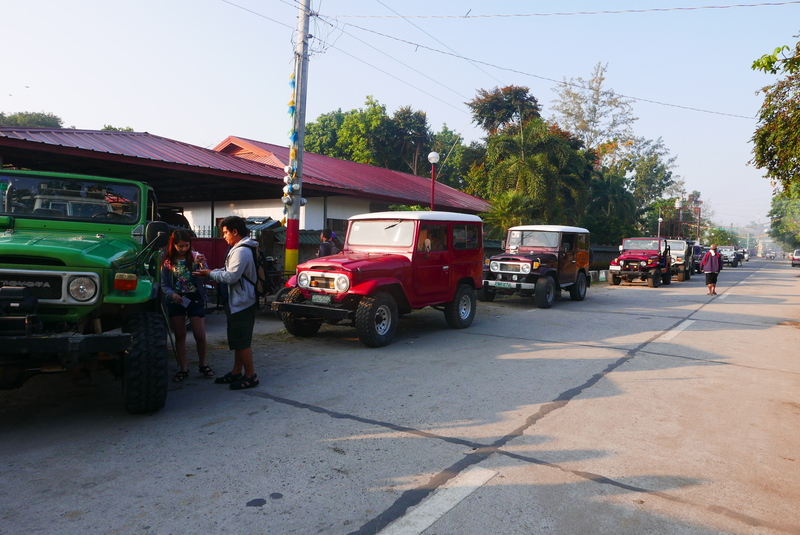 At around 7:00 am, we were ready to head back to base camp. At this point, I stopped taking photos and we reached base camp just before check out time. 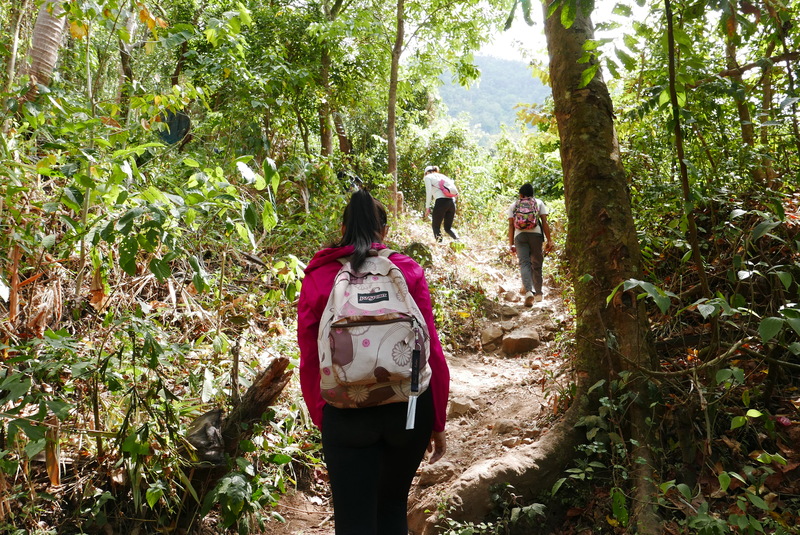 We grabbed some quick breakfast and headed back to Kinabalu Park Headquarters. It was probably around 2:30 pm when we reached Timpohon Gate. We reached the city at around 6 pm and said our goodbyes with the rest of the group. Their flight was scheduled early the next day while me and my brother was just about to start the second leg of our trip. Hanoi! Today is the day we have all been waiting for. We woke up early in the morning and the bus picked us up from our hotel to head to Kinabalu Park Headquarters. On our way there, we were briefed by the tour operator on the dos and don’ts before falling asleep. I thought to myself: I probably will not be sleeping for the next 36 hours. 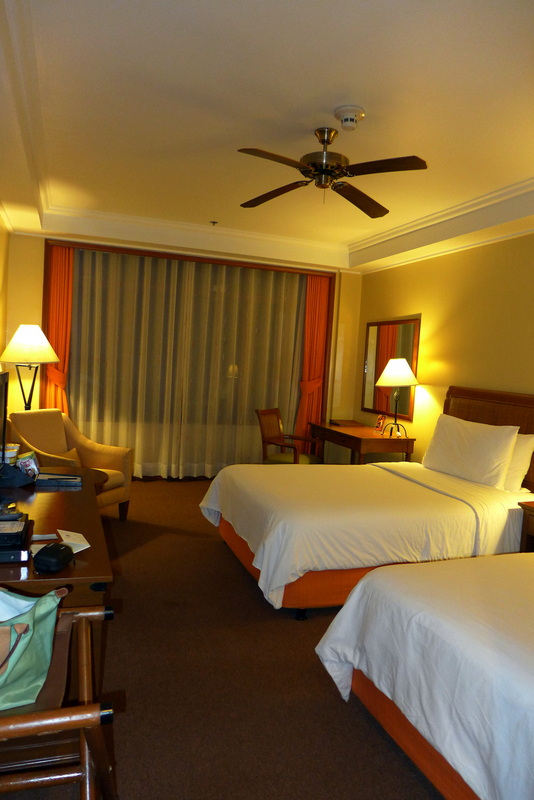 For this tour, we booked the 2D/1N package with Amazing Borneo. As we reach the headquarters, we were met by dozens of other climbers from around the world. We were each given our packed lunch as well as the mandatory ID tag which you had to wear at all times. Mine was tagged 007 for this climb. Pretty neat! Just before 10:00 am, we were already at the Timpohon Gate. This is it! We were 9 in the group including the 2 guides who also acted as our porters. 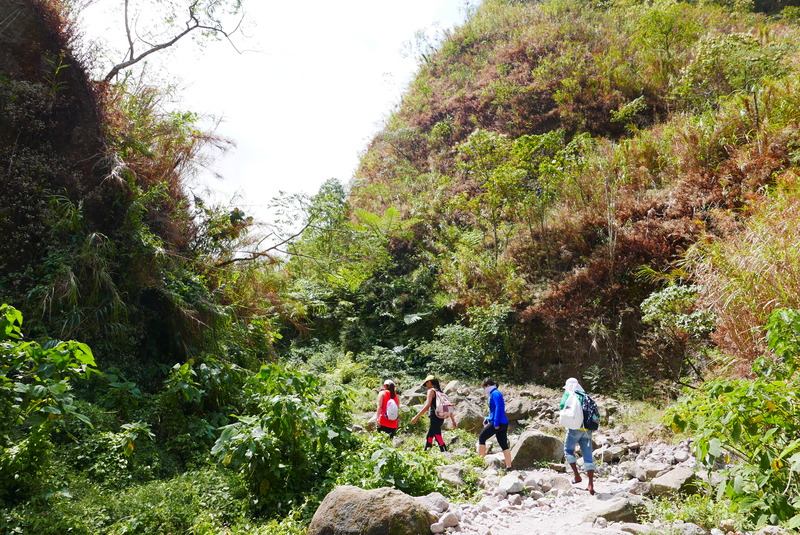 Before the hike, we have been advised by our guides not to walk too fast. 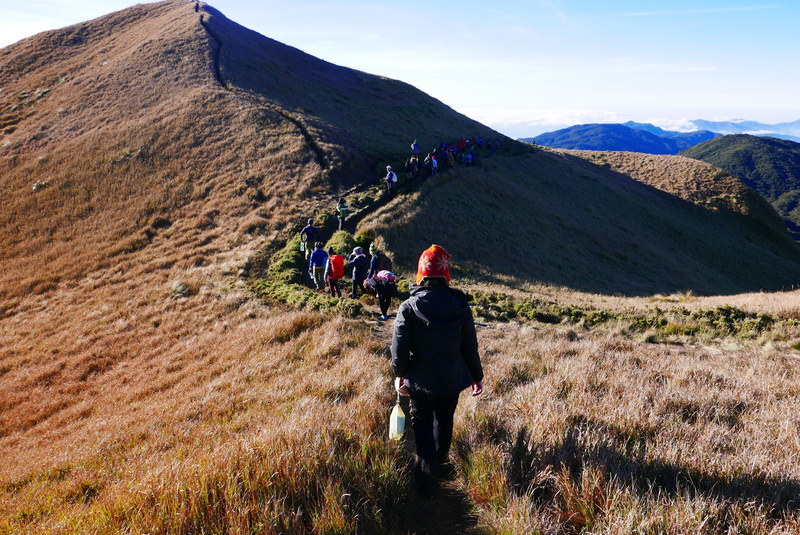 The walk will be long and the first day is just for reaching the base camp. 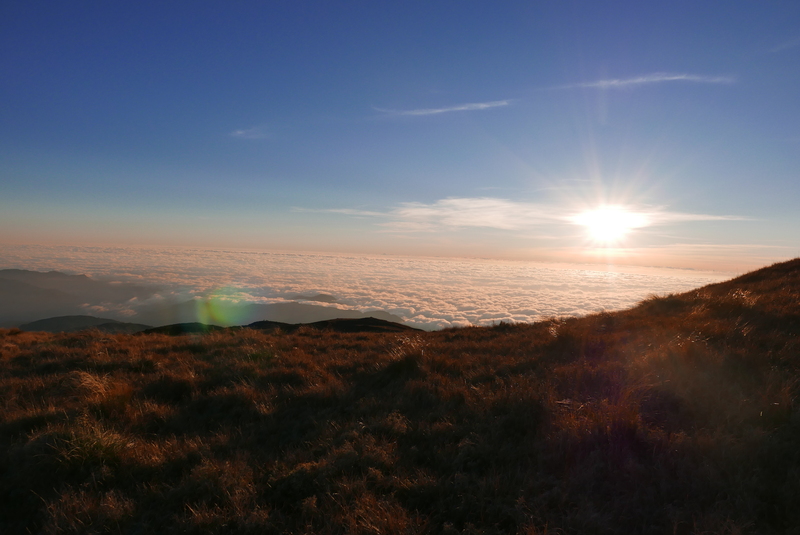 There is also the danger of getting altitude sickness if our body does not acclimatize well. We weren’t used to this kind of pace which is why we were reminded to walk slower after 30 minutes. 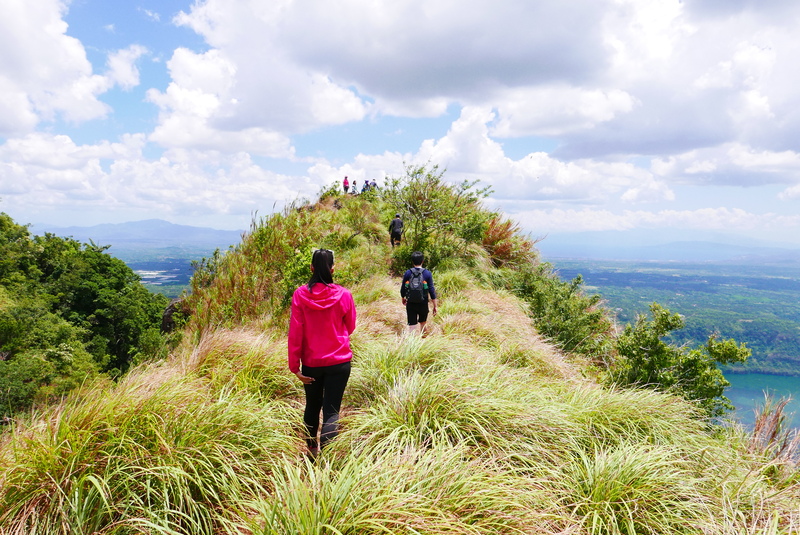 The hikes we do locally are usually day trips and the mountains range from 500-700 meters only on the average. As we passed each stop, you notice the shift in the terrain and vegetation. Likewise, the weather also becomes more unpredictable. 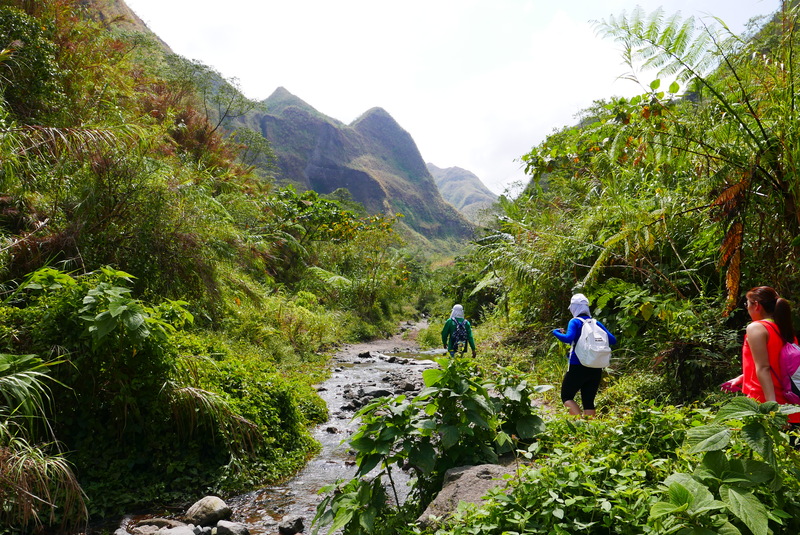 We experienced hot and humid weather as well as the cold and some rain showers throughout the hike. 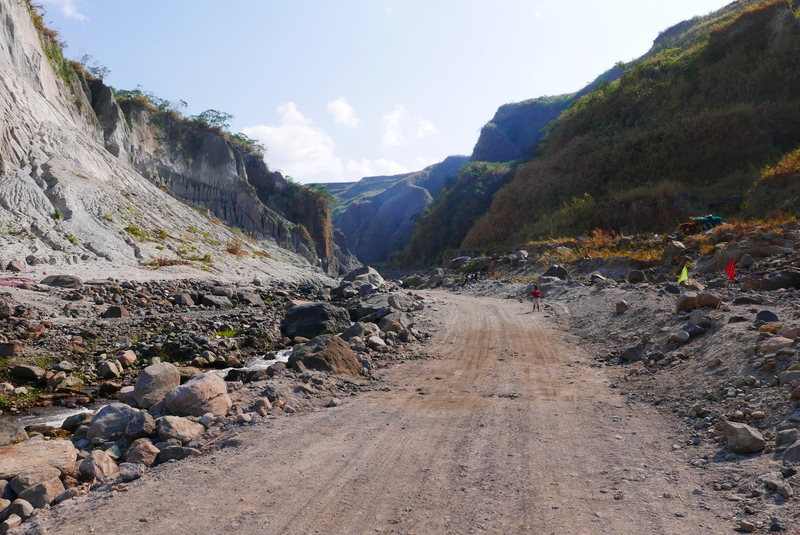 Before they re-opened the mountain, due to the earthquake last 2015, they already re-routed and fixed the trail routes. The rest stops are quite convenient as they have toilets with running water in every stop. As a pre-cautionary measure, it is highly advised not to drink directly from the tap water. I suggest that you bring enough (at least 2 litres) until you reach base camp. Just to be sure, bring purification tablets or iodine solution in case you have to get from the tap. 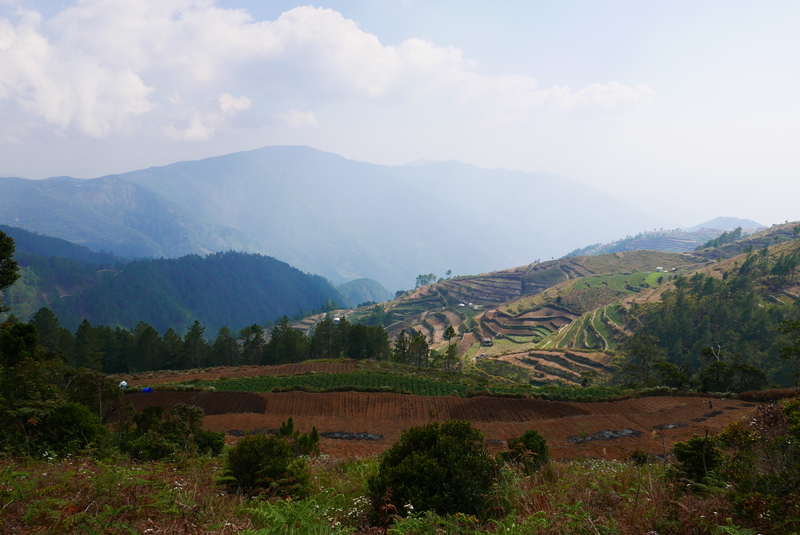 As we got closer to the base camp, the weather was getting colder. I layered up as early as our lunch stop. To keep myself energized the whole trek, I brought a good mix of trail food. I had energy shots and sweets, biscuits and some chocolates. With the occasional rest stops and photo ops, we did not notice that it was getting quite late already. 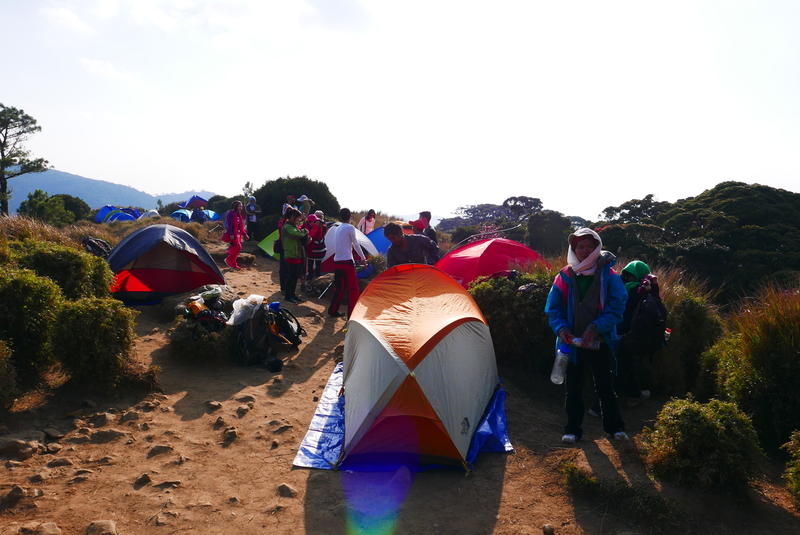 Some of us reached base camp earlier while the others were 30-45 minutes behind. 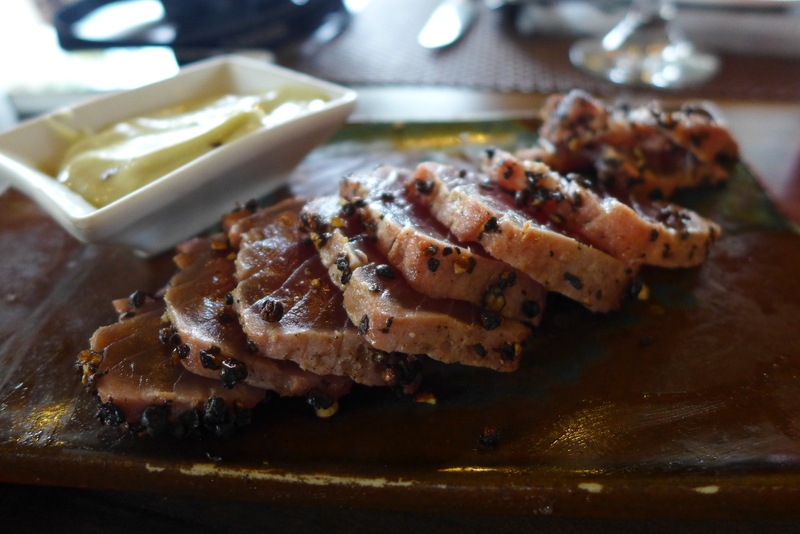 I was already exhausted and famished at this point when I managed to reach the base camp before 5 pm. 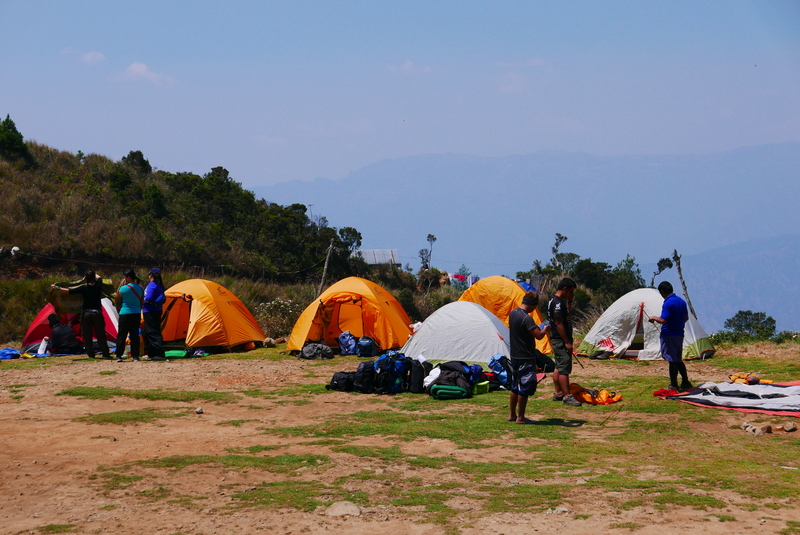 My first impression about the base camp was “not bad at all!“. 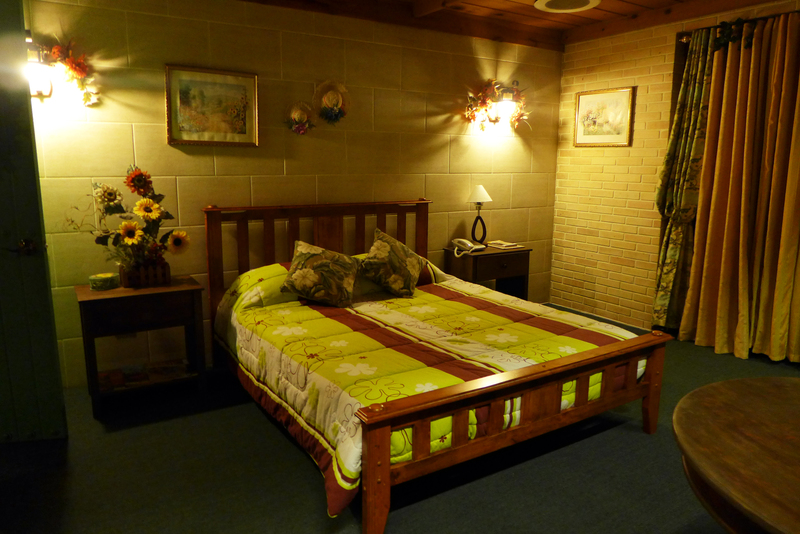 The rooms consist of 4 double deck beds and food was served buffet style. 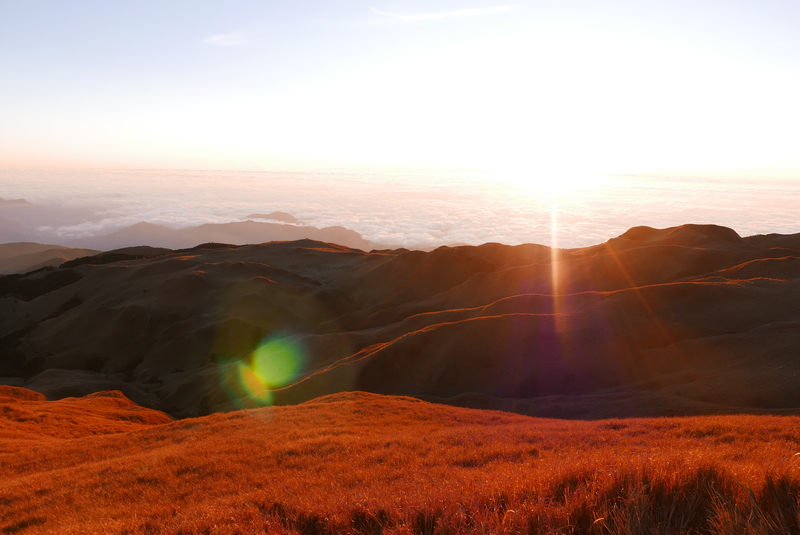 The only other time I had an overnight hiking experience was back in 2015 when we went to Mount Pulag. We camped out in tents for that one. After dinner, everyone decided to freshen up and prepare for next morning’s hike. Our call time was at 1:30 am which was only in a few hours. Before retiring, I went outside to do some astrophotography. The cold got the best of me and the area where I placed my tripod setup was not that stable. Oh well! Better luck next time for me. This was officially my second try on site with this type of photography. 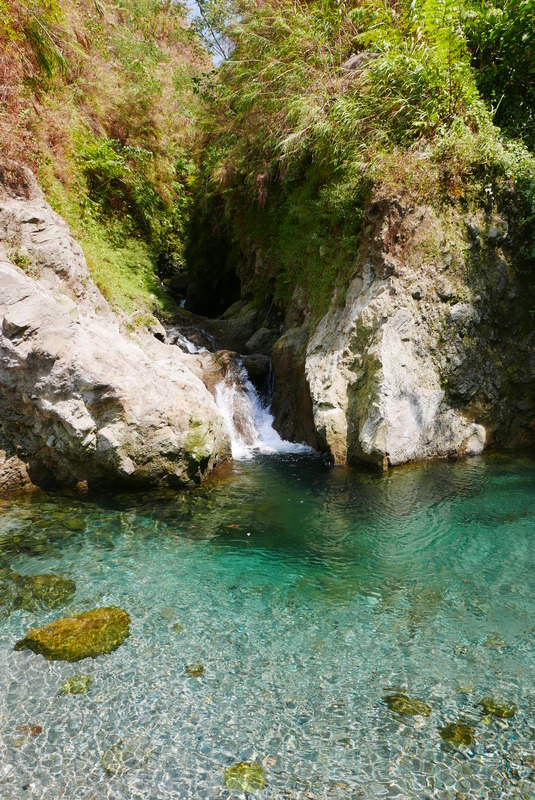 The first being in Sagada. 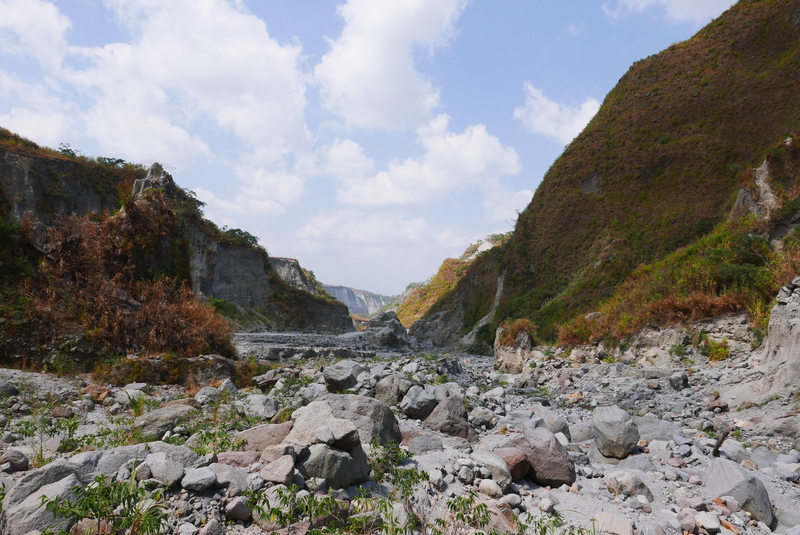 A week after I went to Mount Pulag, I decided to join the same group and head to Mount Pinatubo. 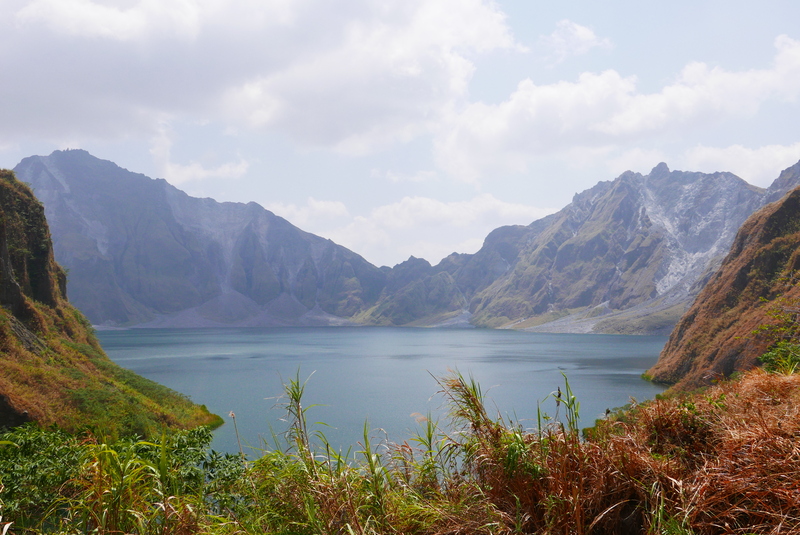 After our gruesome 26 km total hike in Pulag, I thought to myself: “Pinatubo should be smooth sailing. No sweat…” . Well, it’s true for the most part of this trip. Our trip starts at our meeting point in Metro Manila around 3 am. From there, we hit the road and headed to Capas, Tarlac. 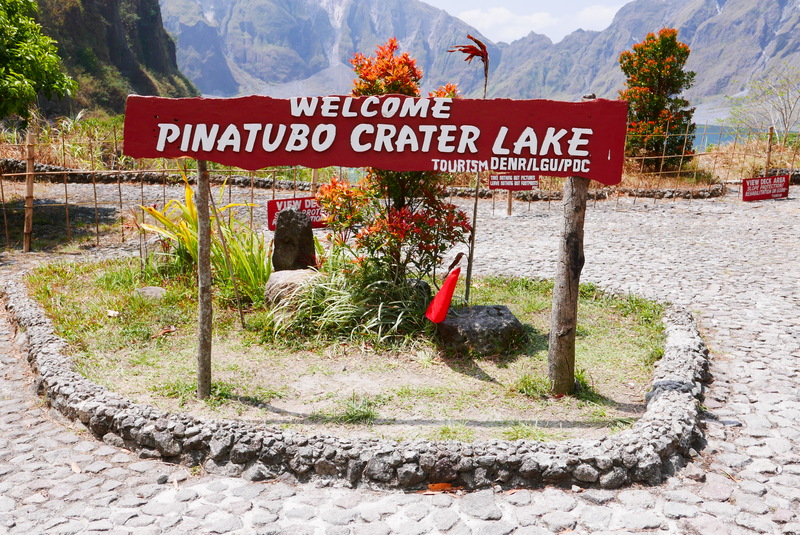 After our orientation with the travel organizer, we headed towards the entry point to Mount Pinatubo. It was already sunrise when we reached our final stop. 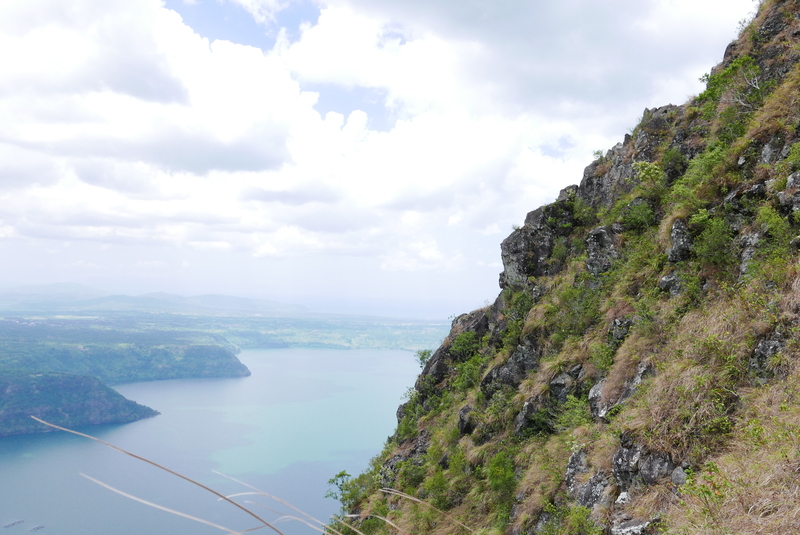 From here, we would be riding 4x4s to reach the foot of the mountain. 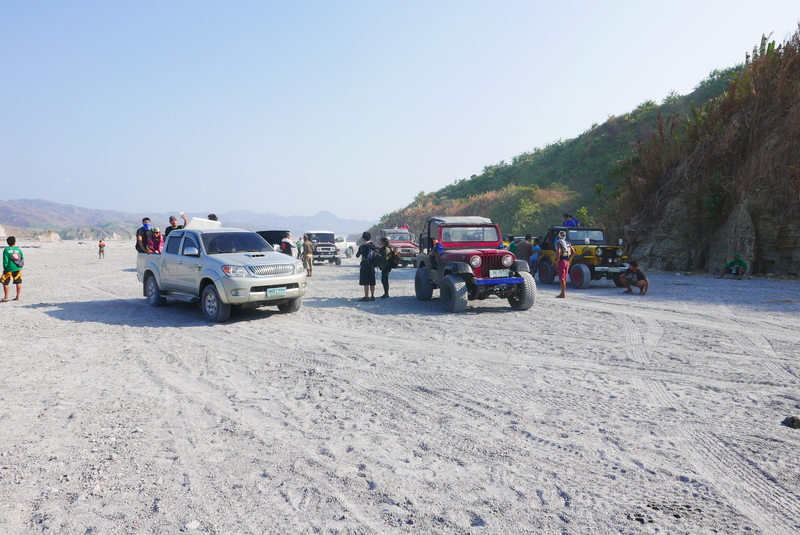 The most tiresome part of the trip was the 4×4 ride. While some rode an open top 4×4 jeep, we were assigned to an enclosed one. Both have pros and cons. Riding the open top gives you more leeway in terms of space. You can also hold on to the roll cage or even stand up if you get too tired of sitting down (and of course the photo ops). 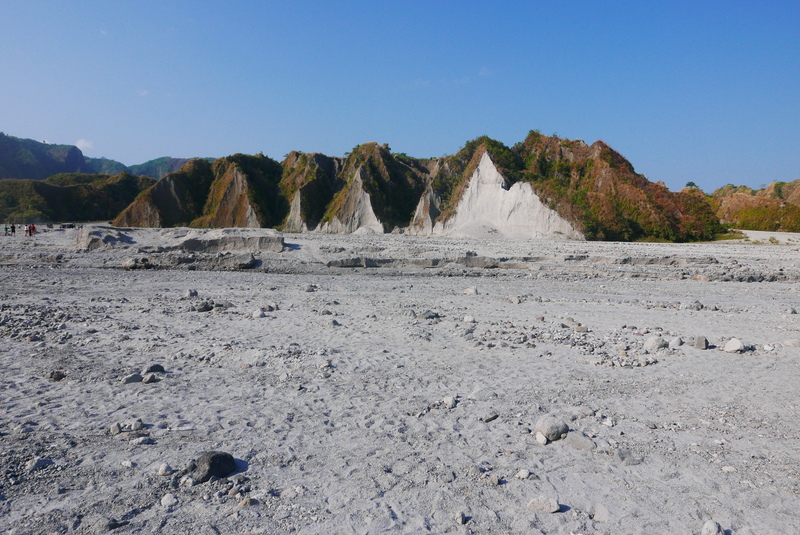 On the downside, you are more prone to be exposed from the lahar. As for our enclosed ride, there wasn’t really any option to hold on to anything. There were no handlebars to cling on so the bumpy ride can really get messy. Did I also mention that the ride takes around 2-3 hours. Part of the experience for me! As we were getting deeper, you can see the sudden shift in the landscape. 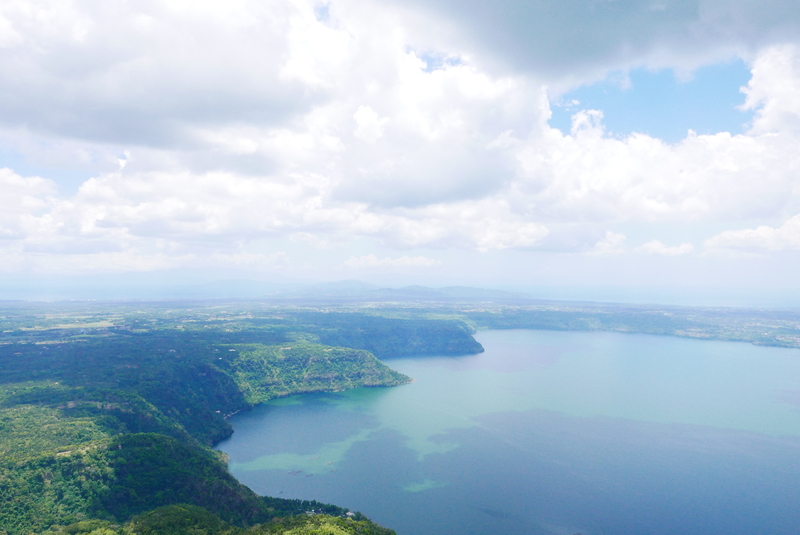 Can you imagine something beautiful resulted from a vicious volcanic eruption? For some reason, it made me feel like I was in the Land Before Time minus the dinosaurs of course. 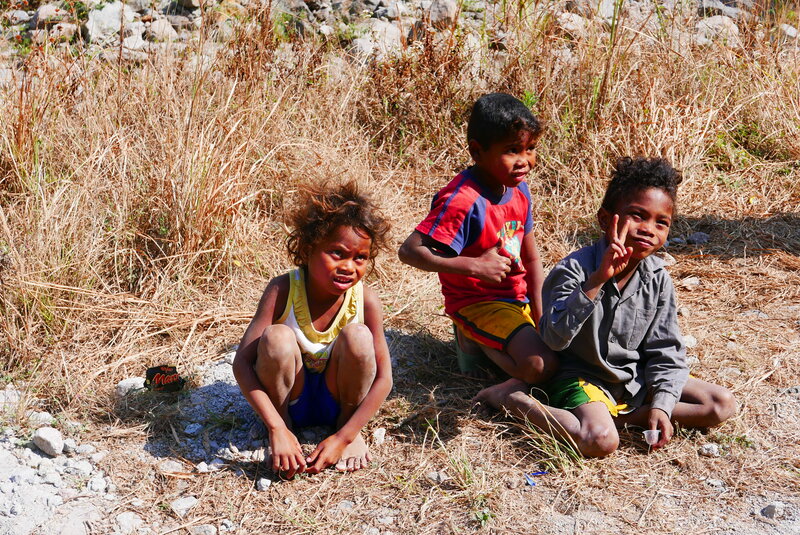 Along the way, you will see several local Aetas. 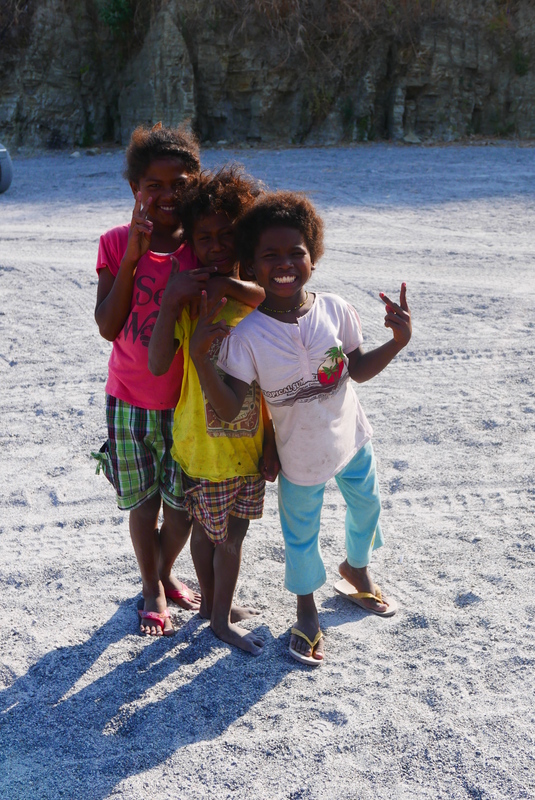 The children are very friendly and enjoy being taken photos. Once we reach the foot, it was now time to hike up the trail. 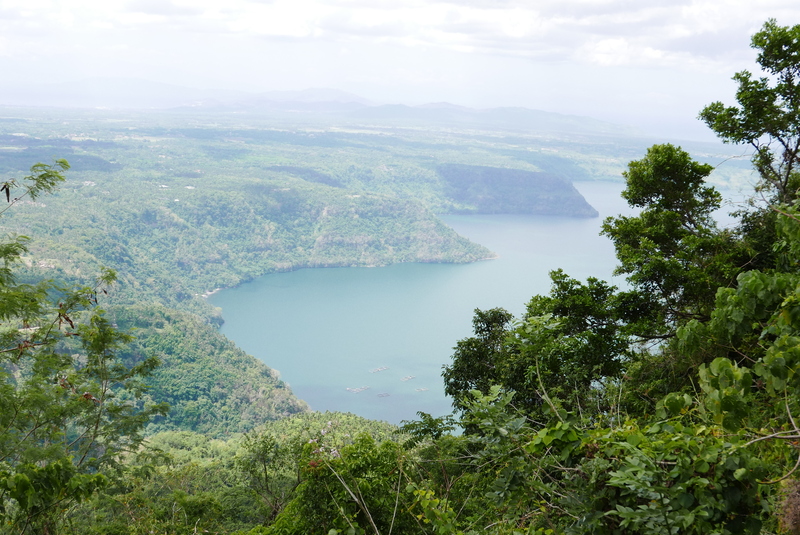 Contrary to the old set-up, the most convenient trail to reach the crater only takes 15-30 minutes depending on your pace. There are longer trails which just meant that you get dropped off earlier and start walking from that point. I was initially expecting to hike between 1-2 hours per way so I was surprised that the trail was way shorter than I expected. 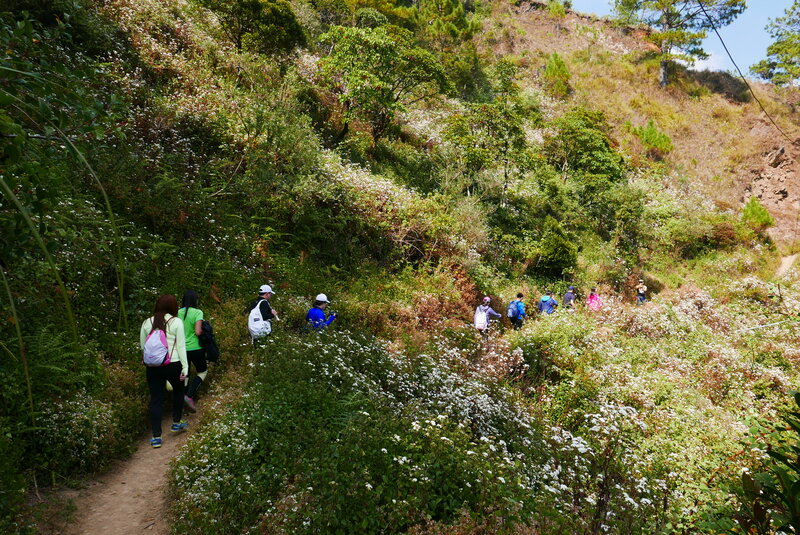 The trail is very easy and anyone should be able to manage it. As a tip, I suggest that you wear quick dry shoes as you will be passing by certain areas that has shallow running water. Also, refrain from wearing open shoes if you are prone to sunburn. 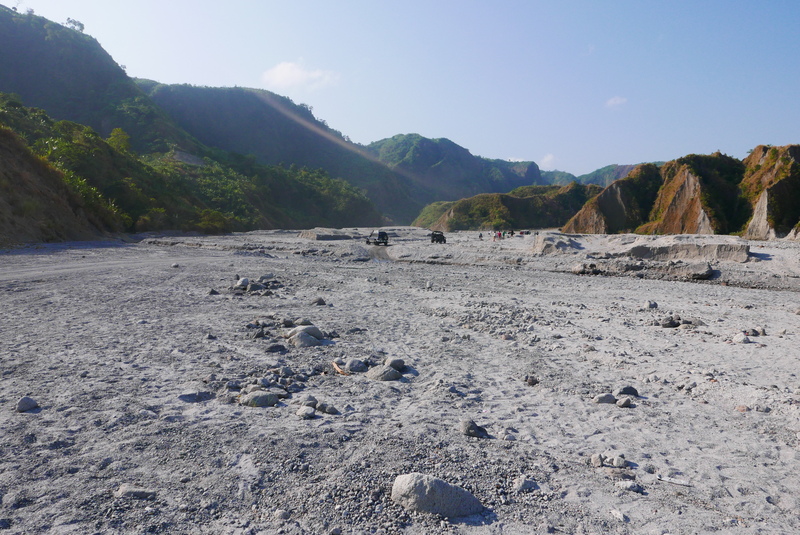 Temperatures can get really hot in Pinatubo during the summer time. You can also camp within the crater as I’ve seen some photos online. However, swimming has been prohibited already. For me, a day trip is already enough to enjoy what this place has to offer. 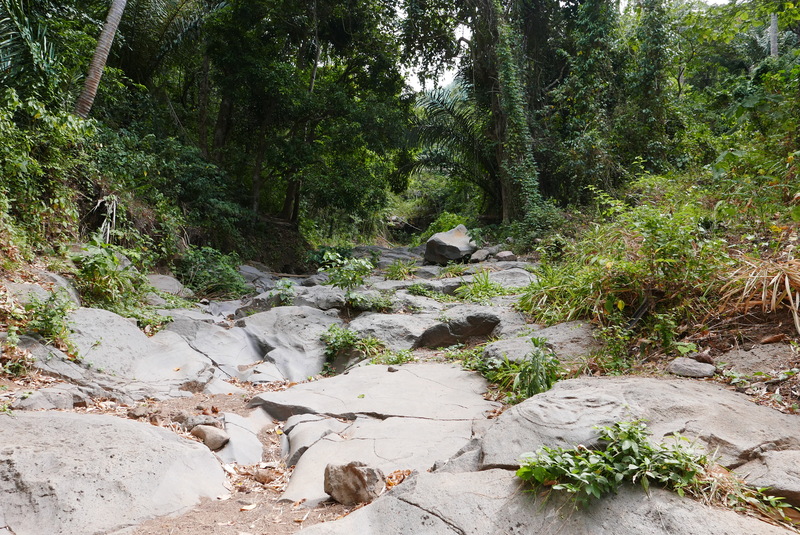 Before heading back, we decided to take a side trip to a nearby waterfall. I decided to take a plunge to refresh my body from the hot summer heat. The water is so cool and clear! You can ask your guide to bring you there as they’re probably familiar with the spot. 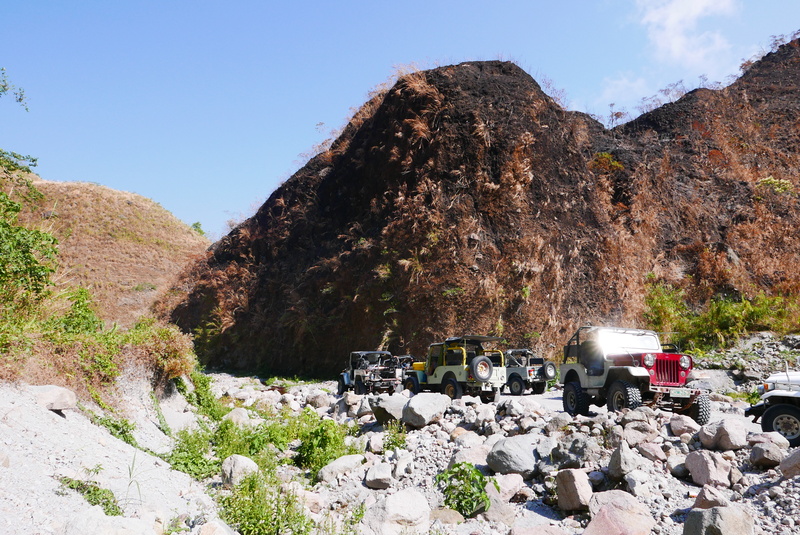 It’s just a few minutes from the 4×4 drop off point before the short trek. By the time our trip has officially ended, it was almost sundown. Our group then headed straight to Pampanga to grab some dinner before parting ways. 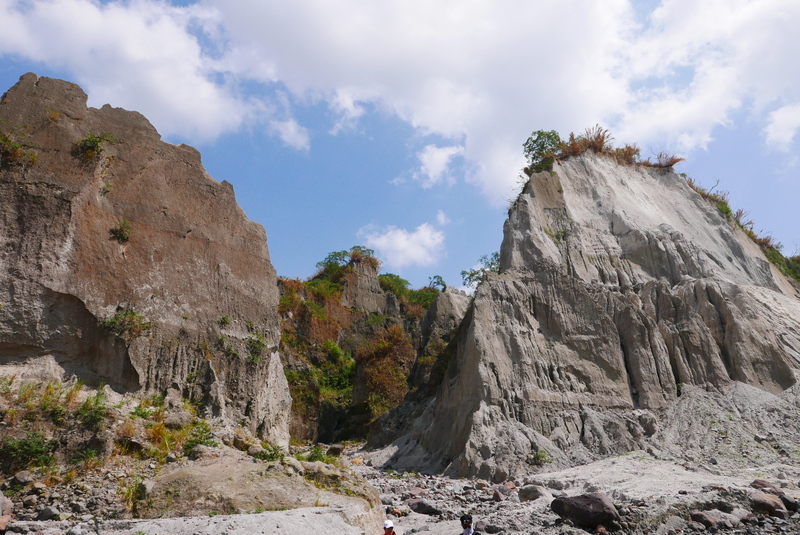 I would recommend everyone to head to Pinatubo if they want to be more adventurous with their travels. This is definitely a good starting point! 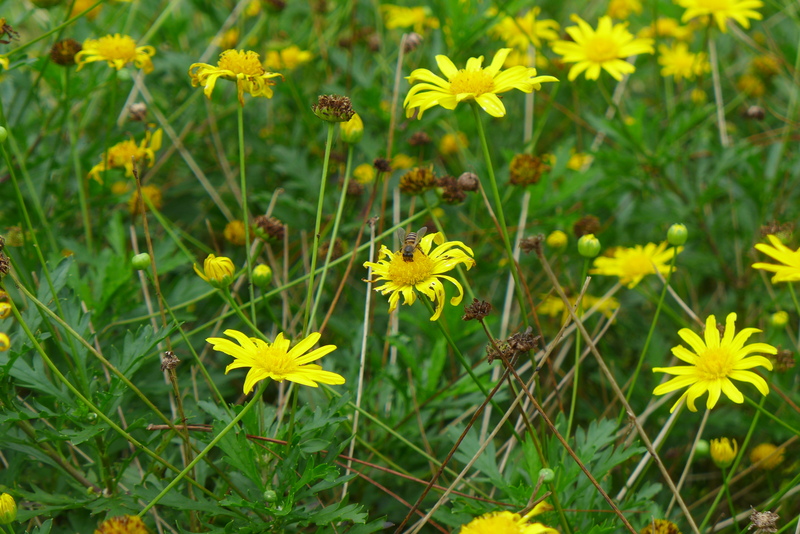 It’s also just a stone’s throw away from the country’s capital. 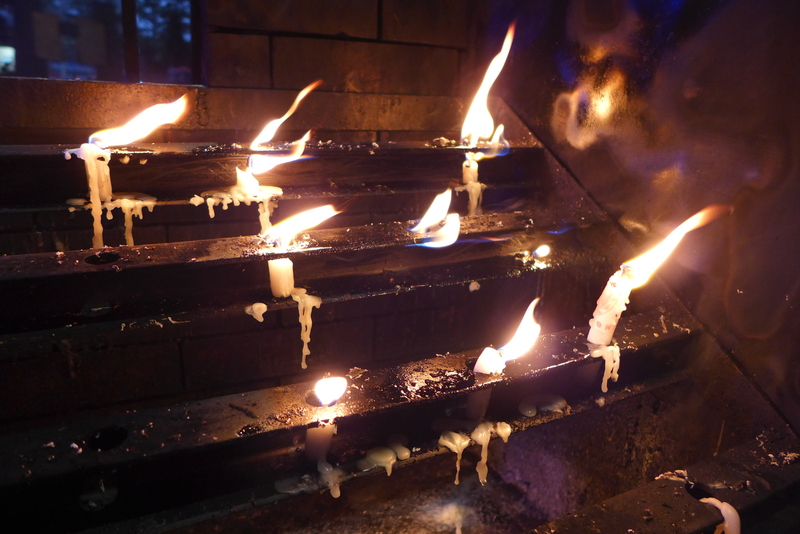 Last 2013, we went to Baguio for the second straight year. 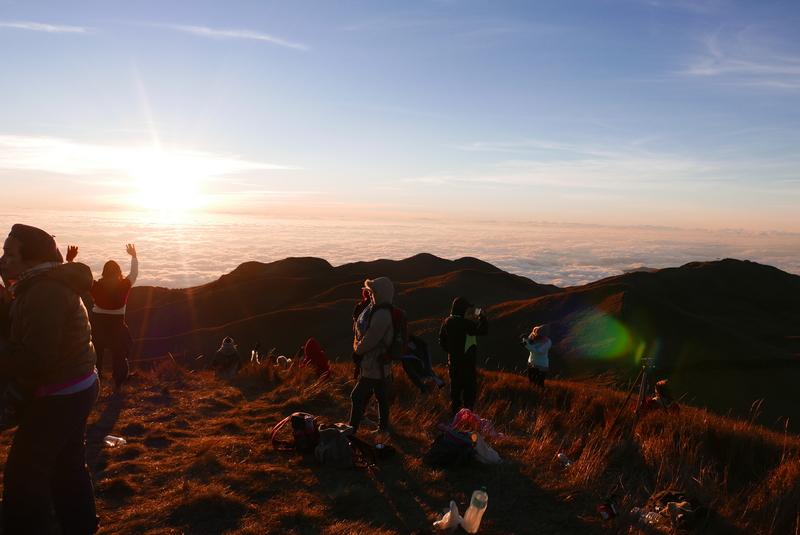 I am writing this post since we were not able to pass by Baguio last 2014. Hopefully, we get to return again and keep visiting on a yearly basis. New traditions so to speak for our family. 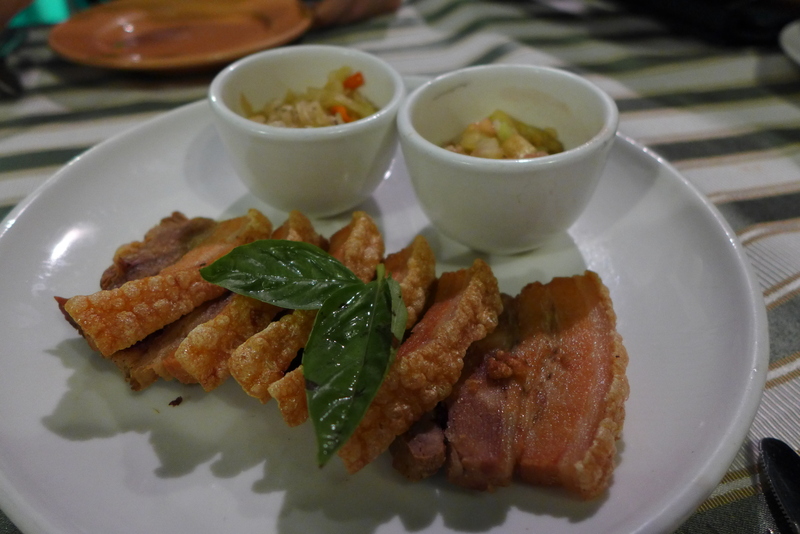 After spending time in Manaoag for prayer and devotion, we reached Baguio just in time for dinner. 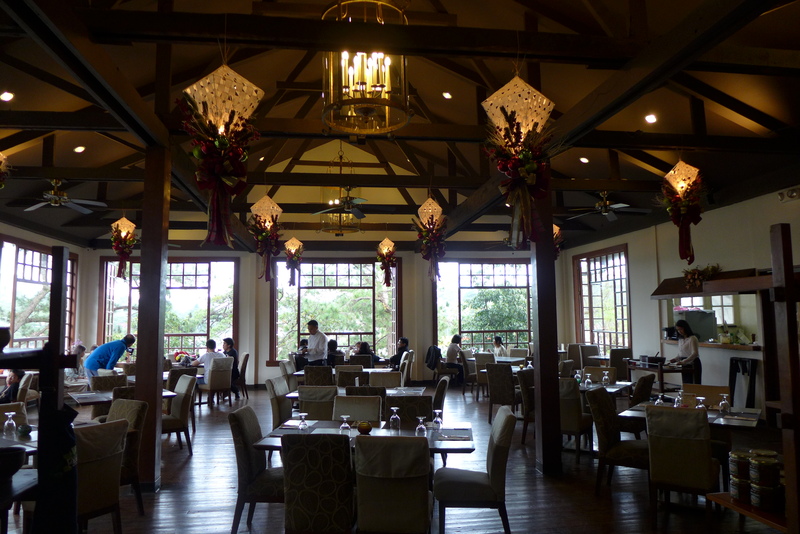 We first checked-in at The Manor located in Camp John Hay. 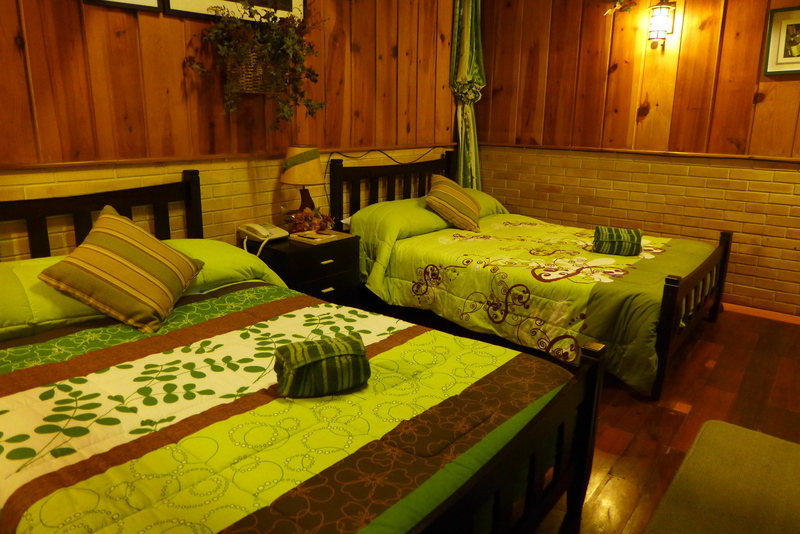 The rooms were very cozy and has a family vibe to it. 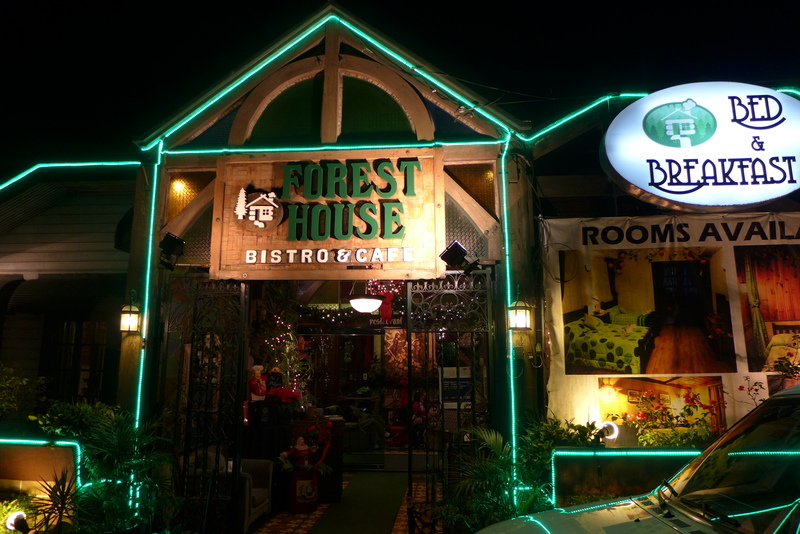 For dinner, we wanted to try Forest House Bistro & Cafe. Our table was located at the veranda. 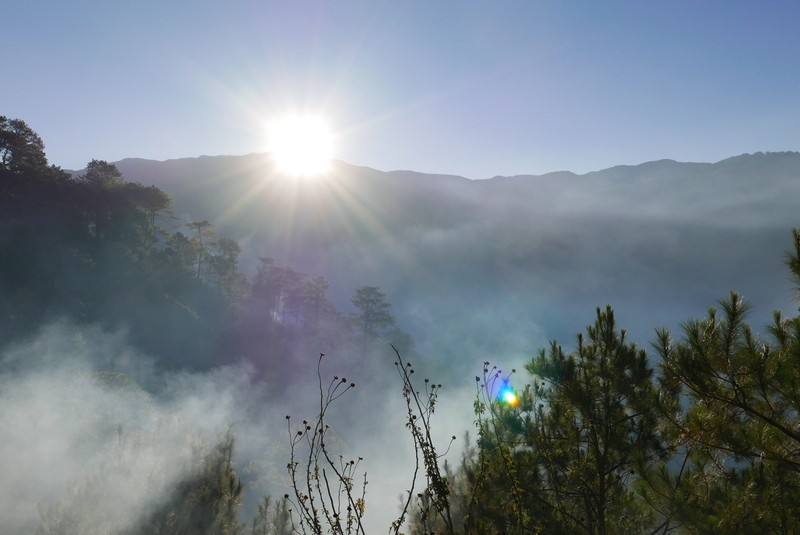 The cool weather was just right during the time we visited Baguio. Food was just okay. After dinner, we were lucky enough to get a tour of their bed & breakfast rooms. 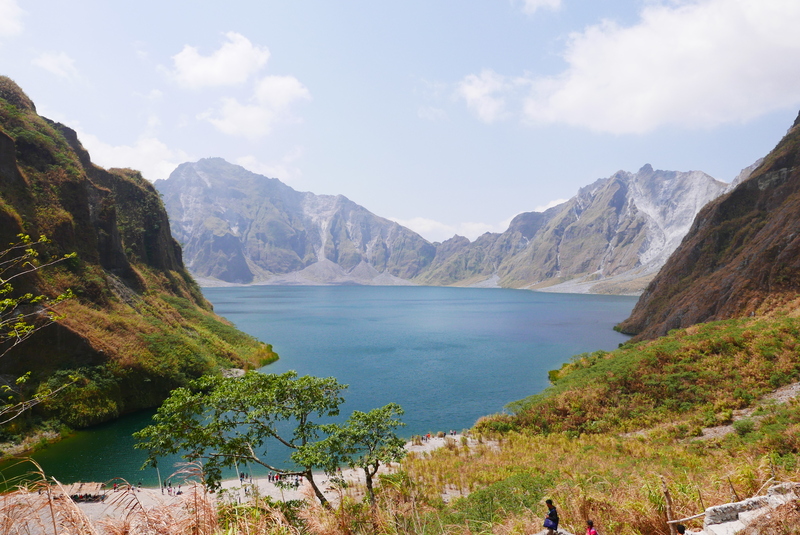 Another place to consider when we return to Baguio. 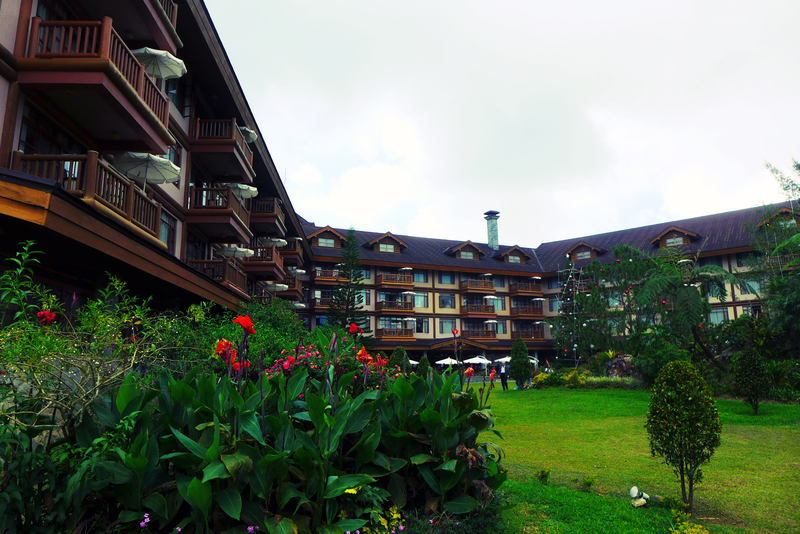 We then headed back to Camp John Hay. Before going to bed, we had some hot chocolate and played a bit of board games. Family bonding time! 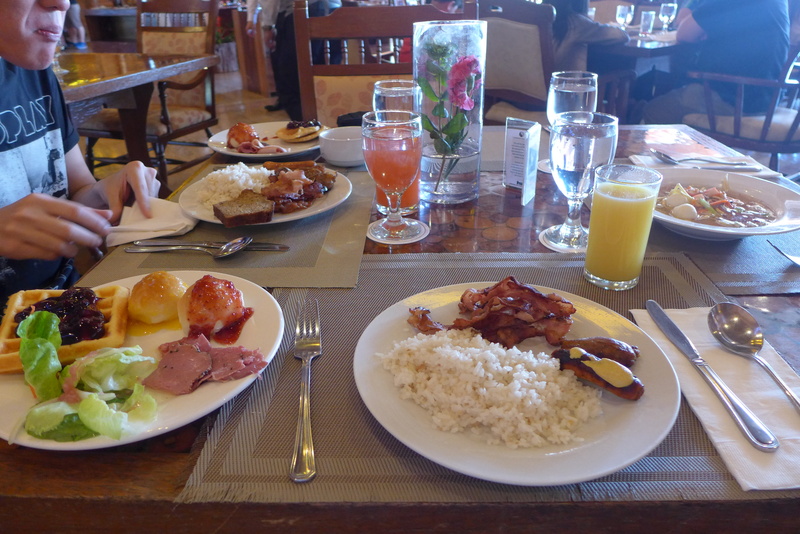 During the next morning, I cannot wait to load up on the breakfast buffet at The Manor. I’ve been hearing good reviews about their breakfast. 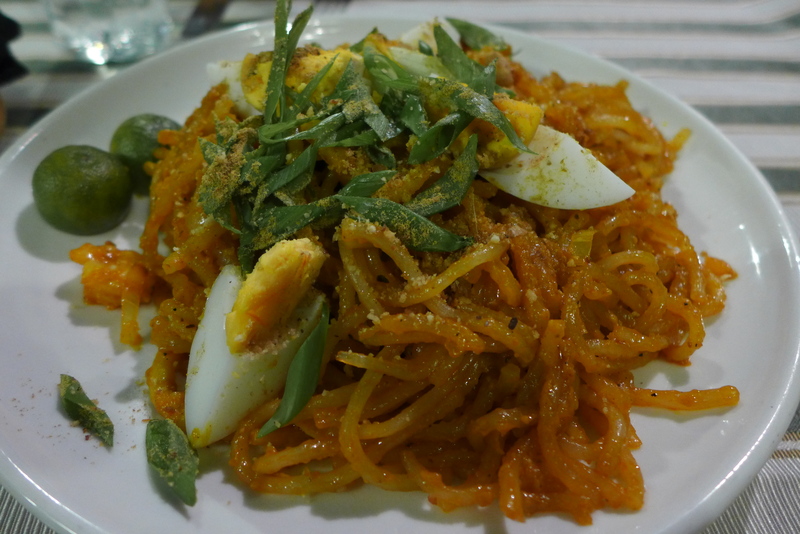 It certainly did not disappoint! After breakfast, we did an early check-out since we stayed here for just one night. We then headed to Mines View Park to enjoy the view and some fresh air. 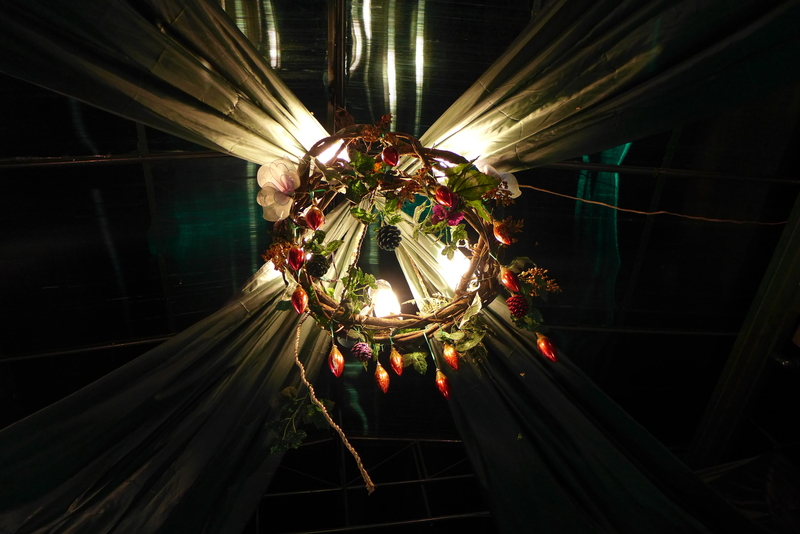 While you’re there, don’t forget to visit nearby Good Shepherd Convent. 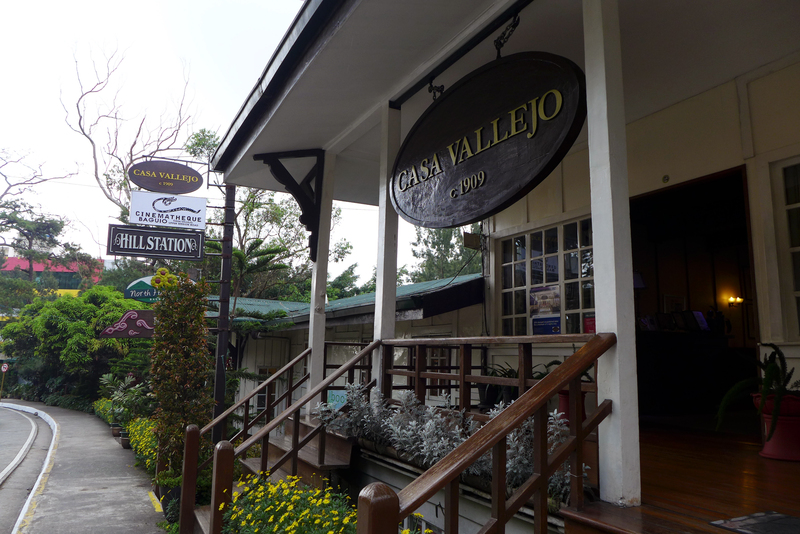 This is where you get most (if not all) your Baguio goodies to bring home. 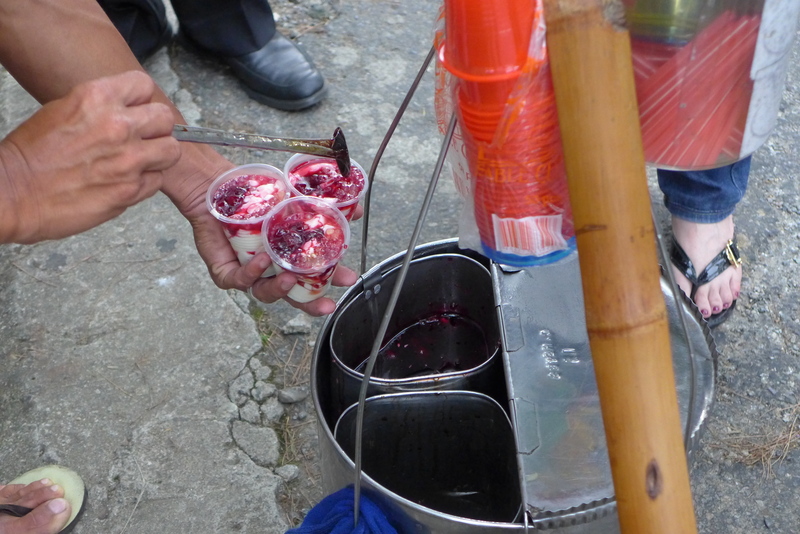 Also try the strawberry taho that’s only available here in Baguio. You should easily find someone who sells them around Mines View Park. 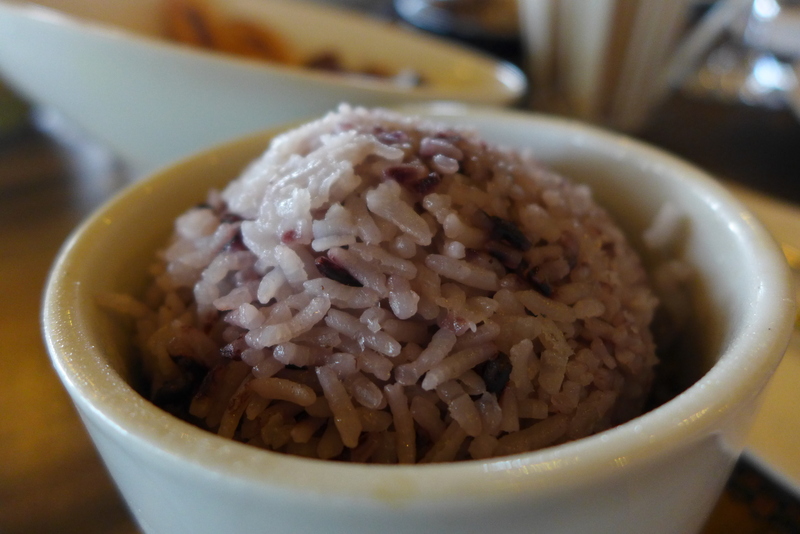 For lunch, we went to Hill Station at Casa Vallejo – an establishment that’s been here for so long. Don’t forget to check the Mt. 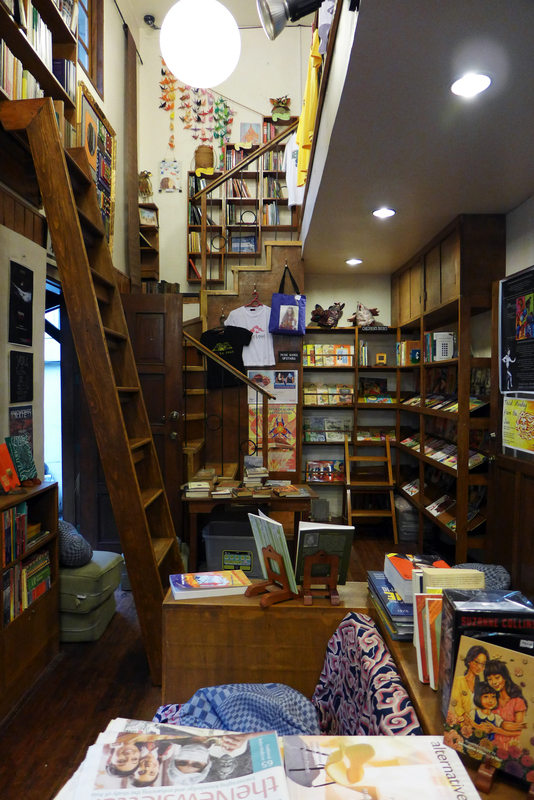 Cloud bookshop as well. Well, that’s it for my Baguio trip! We had to return to Manila already. A quick but memorable family bonding trip.